“Coffee is a language in itself” Jackie Chan. The obsession of the world for coffee tells us how significant role it has in our routine lives. For most of us, the day doesn’t begin without having a cup of coffee; for the rest, the day is incomplete. It gives a jolt of energy which helps us kick start our routines. You might find it difficult to wake up early in the mornings but as Fran Drescher has said: Once you wake up and smell the coffee, it’s hard to go back to sleep. Quality of freshly roasted beans and special coffee makers: these are the things on which we end up spending the most. However, after all these spendings, you would still experience a poor-quality of a cup of coffee if the beans are not stored appropriately. We would help you out with this. Below is the information that will guide you on how to store your beans so that when you are brewing, you get the best taste and quality. Why is Storing Coffee Beans Properly so essential? Before going on to “How to store your coffee?” let’s see Why there is a need at the first place for the same. Isn’t the vacuum sealed packaging done by the companies enough? The mass-produced coffee is generally roasted weeks before you buy it. Hence, it loses it’s health benefits and tastes worse. So it is better to avoid buying packaged coffee powder or roasted beans. Freshly roasted beans taste and smell much better. Ideally, one should use coffee beans within two weeks of being roasted. So to keep the beans fresh, proper storage is necessary. 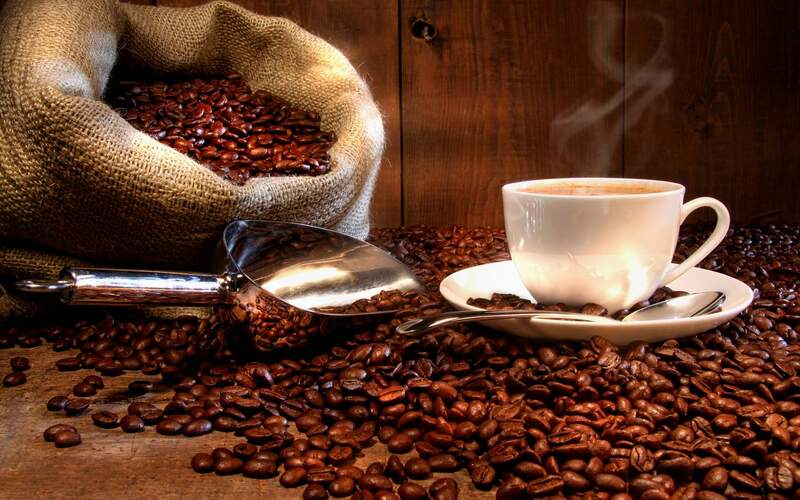 Drinking coffee made out of fresh beans also has many health-related benefits. Coffee has been proven to prevent cardiovascular disease and type 2 diabetes. It also helps in weight loss. Coffee also possesses lots of antioxidants, helping to remove toxins from our body. But these benefits go away as the coffee becomes older. And the concern with the taste of the old beans is that the flavour is less sharp as compared to fresh beans. No matter how much you try, coffee will eventually lose its freshness. Most people say it loses its nutritional value in two weeks of roasting. But it can be prolonged or delayed with proper storage. The best solution is to buy beans that are not roasted. Buy green coffee beans instead and roast them yourself based on your requirement. This will ensure you have the freshest possible coffee. However, for many, or even it wouldn’t be wrong to say – for most, it is impractical. Coffee roasters are expensive, leaves a strong smell of coffee behind, and it’ll take much time for you to prepare your cup of coffee. Hence, buying roasted coffee beans and appropriately storing them sounds to be a more viable option. Below are a few tips & tricks on how to store roasted coffee beans to keep it fresh for longer. The more is the surface area, the faster it gets stale. The powdered or pre-ground coffee has more surface area than the whole bean. Hence, it stales faster. Professionals suggest brewing the coffee within 15 minutes of grinding. Fridges and freezers are moist. By placing your coffee there, it is exposed to the moisture. As a result, it goes bad faster and loses taste and quality. It is advisable to store coffee in a dry place. Although it is widely practised to store coffee in the fridge, it is not the right way. Instead of the fridge or freezer, find someplace that’s dry, cool, and away from the sunlight. At places like countertop, where the sunlight can directly hit, coffee will deteriorate, and the taste and quality are compromised. Instead, store it in a cabinet or breadbox. If the area you live in has a very warm climate, stock your coffee in a temperature controlled room. Coffee that is mass-produced, sold at supermarkets is almost always stored in tins sealed at the top and which can be resealed with a plastic lid. But the speciality coffee never comes this way. They generally pack it in glass containers as tin leaves a flavour in the coffee, giving it an unpleasant metallic taste. The best way to store the coffee is to use an airtight glass or ceramic container. After breaking the vacuum seal on the bag, dump the coffee in the glass or ceramic container and seal it up. Then place it in a dry, cool, and dark place to help keep it fresh. As mentioned earlier, you can only prolong the process of staling and not avoid it. All the tips mentioned above will help you to keep your coffee fresh for longer, but eventually, it will go bad. So it is better not to store coffee for a longer time and buy small amounts more frequently so that you can finish what you have before it has the chance to go bad. You can possibly sign up for a coffee subscription service. The store will send freshly roasted coffee to your doorsteps every two weeks or so, making sure you’re always drinking the best quality coffee. It is not possible to preserve coffee forever. Nature will play its role. However, there are some precautions and actions you can take to ensure it stays fresh, healthy and tasty for longer. It will make sure your mornings are pleasant and the days – better. Bunn is the name people trust when they need an impressive coffee maker for home and commercial needs. In the course of time, it has built an amazing brand value and authenticity when it comes to the major market of coffee makers. So, things weren’t easy as we expected when we moved forward to find out the best Bunn coffee maker in the market. What we needed first was a shortlist of products, so that we can review these products thoroughly. We had made a shortlist of Bunn coffee makers, with around 25 products. After hands-on reviews and making a few cups of coffees, we have now come down to the best six Bunn coffee makers you can buy today. One thing you can find in all these coffee makers is the perfect-taste coffee. After drinking more than a few cups of coffee, we do believe BUNN MCU Single Cup Multi-Use Home Coffee Brewer is the best Bunn coffee maker to get. It’s pretty versatile and performance-friendly but you may need a semi-premium budget to get it. 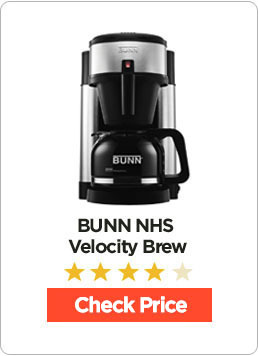 If you need a budget-friendly alternative with fastest coffee-brewing, we’d recommend going for BUNN NHS Velocity Brew 10-Cup Home Coffee Brewer. It combines standard capacity and extra-smooth brewing time, making it suitable for both home and commercial needs. 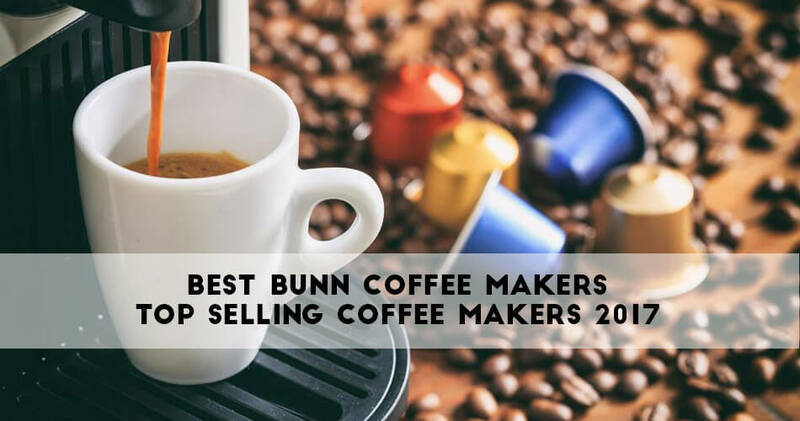 Best Bunn Coffee Makers – Our Top Picks 2018! We’ve tried all our recommended products for brewing coffee, so that you know how it’s like to use them. If you are looking for a truly versatile coffee maker, we would recommend this product — without the slightest doubt. Most customers love BUNN MCU Single Cup Multi-Use Home Coffee Brewer for its performance and the use of great technology. You can create your favourite coffee via different methods in this device. For instance, you can use ground coffee, coffee pods, tea bags and K-Cups. We received the corresponding drawers for each of these methods and using them was an easy task. Coming to the brewing experience, this coffee maker has a brewing time of less than one minute. Depending on your requirement, you can have 4oz to 14oz of coffee in the single brewing session. We also tried its Pulse Brew feature, which gives you a bolder cup of coffee. One thing to be noted in BUNN MCU Single Cup Multi-Use Home Coffee Brewer is that it comes with internal water tank. The 14oz water in the tank acts as a standby, always available for coffee-making. The result is, we were able to brew the desired coffee in the least possible time. Who is it for: We love to recommend BUNN MCU Single Cup Multi-Use Home Coffee Brewer for everyone who loves versatility of selection. It combines awesome performance and features, along with the option to brew almost all types of coffee. This will be our unanimous selection when you need higher capacity and best performance — available at an affordable pricing. In the shortest time, you can brew a full cup of coffee, making the device suitable for big homes as well as organizations. Just like other Bunn machines, BUNN NHS Velocity Brew 10-Cup Home Coffee Brewer is also noted for quick brewing, thanks to the internal water tank. You can brew up to 10 Cups of coffee in around 3 minutes. When you have a lot of guests at your home, this is the best way to get enough coffee. It’s basically a drip coffee maker, offering the perfect blend of water and your ground coffee. Moreover, it’s coming with a Multi-Stream Spray head for the even distribution of water on ground coffee. We understood its effect by the non-bitter taste of brewed coffee we received in the end. You cannot have many customization features in this Bunn coffee maker, but there’s a Vacation Switch for turning off the always-hot-water feature. It’s a great way to save energy. Another thing we loved is that its carafe is drip-free. Who Is it for: BUNN NHS Velocity Brew 10-Cup Home Coffee Brewer is optimal for those who need a lot of coffee in the shortest period. Thanks to the internal water-tank and multi-stream spray head, we didn’t find any bitter taste in the coffees we had brewed. Here comes our recommendation for those who have the minimum budget. 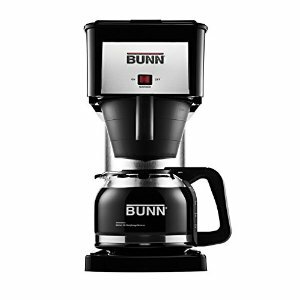 It’s a popular Bunn coffee maker that combines great capacity and speed. As you can guess from the name, you can brew up to 10 Cups in a single brew. Just like the above-mentioned product, this too takes just three minutes to complete the brewing process. It does not matter whether you’re brewing 30oz or 45oz, you get the job done in 3 minutes. This is a suitable choice for homes with many coffee-addicts. 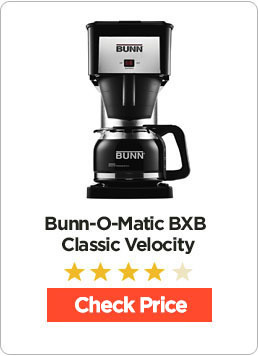 BUNN BXB Velocity Brew 10-Cup Home Coffee Brewer has all the standard features you’d find in one of the best Bunn coffee makers — such as the internal water tank and its uniquely-designed spray head. That was one of the reasons why we had got the perfect coffee at the end of the day. You can also spot the drip-free Glass Carafe and Vacation Switch with this drip coffee maker from Bunn. At the least, you don’t have to worry about usability or other stuff. This one is pretty easy to use for almost all homes and even some commercial spaces. Who Is it for: BUNN BXB Velocity Brew 10-Cup Home Coffee Brewer is suggested for those who need higher capacity of coffee in a single brew. We’d say it will work fine in a big home or a small office, due to the 50oz brewing capacity at max. Some people love to have their coffee in hot temperature even after a few hours of brewing. Thermal carafe is a way to acquire that. If you are one of them, we recommend this coffee maker, which is budget-friendly as well. Resembling the abovementioned products, BUNN BT Velocity Brew 10-Cup Thermal Carafe Home Coffee Brewer can brew a maximum size of 10 Cups. While the brewing time has not been changed from 3 minutes, the coffee will be kept warm for another 2 hours. We noted the extra perfection of taste and consistency in this machine, probably due to the 800-watt heater and the built-in thermostat. The result is, you can have consistent coffee with the ground coffee you use on every day. 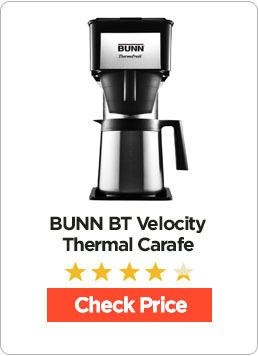 Since there aren’t any buttons or control panels, we found it very easy to use BUNN BT Velocity Brew 10-Cup Thermal Carafe Home Coffee Brewer. We must say the internal water-tank of 50oz is too good for almost all coffee-brewing purposes. Who Is it for: We believe BUNN BT Velocity Brew 10-Cup Thermal Carafe Home Coffee Brewer makes sense for those who need to store their coffees for an hour or so, without losing the heat. It’s good for individuals as well as home uses. 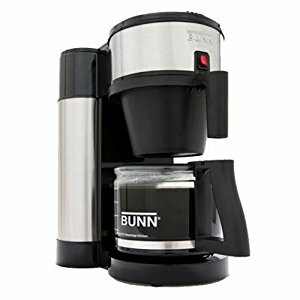 We would love to recommend this Bunn coffee maker who are ready to spend more for advanced features. It was one of the awesome coffee makers we had come across in the review, especially when giving primary importance to the great coffee taste. 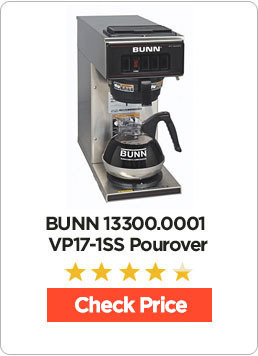 Higher capacity and speed are one of the superb combinations in BUNN 13300.0001 VP17-1SS Pourover Coffee Brewer. In an hour, you can brew up to 14.4 litres of coffee. The performance has been optimized for home and commercial purposes — as it’s clear. The whole coffee maker system is built with Stainless Steel, adding a professional look and feel. Because it requires no plumbing, we didn’t have trouble with the portability of this coffee maker. Of course, you have a bunch of Bunn-based features as well. For instance, the internal water tank and power switches are loved by most customers of the product. It also manages to keep the brewing temperature optimal so that there’s consistency. It does not have timing or programming features, though. Who Is it for: We think BUNN 13300.0001 VP17-1SS Pourover Coffee Brewer is an excellent choice who love great coffee, in bigger quantities. 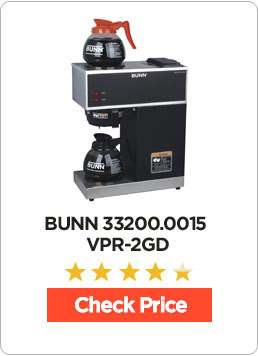 If you are flexible with the price, this is the best Bunn coffee maker you’d ever buy. With yet another expensive, commercial-grade coffee maker from Bunn, we come to the end of our list. This product also happens to be one of the most expensive coffee makers in the product. It’s something awesome that BUNN 33200.0015 VPR-2GD 12-Cup Pourover Commercial Coffee Brewer will brew up to 14.4 litres of coffee in a period of one hour. The all-stainless steel finish and the exterior look are just amazing for every coffee lover out there. 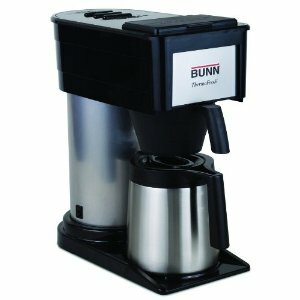 First of all, BUNN 33200.0015 VPR-2GD 12-Cup Pourover Commercial Coffee Brewer comes with upper and lower warmers. You also get two glass decanters with the package, which is good. Just like the previous one, though, you don’t have to mess with plumbed to get the machine up and running. Using this coffee maker is an easy task, because it’s just about pouring the amount of water. Its switches are available for the two heating elements only. It may take a few days to get accustomed to this coffee brewer. Once that’s okay, you are going to have the greatest coffee taste. Who Is it for: Considering all these, BUNN 33200.0015 VPR-2GD 12-Cup Pourover Commercial Coffee Brewer is an impressive Bunn coffee maker for commercial purposes. It’s too good to be used in office environments as well. These are the six Bunn coffee makers we have hand-picked for your home and commercial purposes. As we said earlier, there are certain advantages of having a Bunn coffee maker instead of others. To give an adequate idea about these machines, we will have an introduction to Bunn coffee makers, followed by some buying-guide information sections. 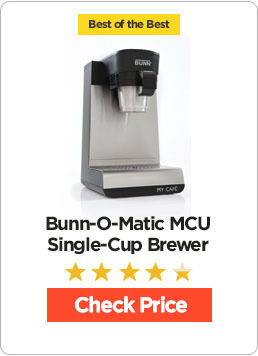 To give you the basic idea, Bunn — actually, Bunn-o-Matic Corporation — is one of the most popular maker of coffee makers. So, coffee makers made by this manufacturer is known as Bunn coffee makers among the common public and coffee addicts. Of course, there are a few factors that make Bunn different from other manufacturers and products out there. The essential stuff is consistency, taste, and reliability when it comes to the case of great coffees. 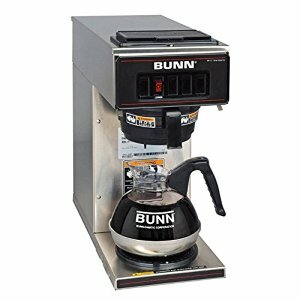 As a company, Bunn manufacturers both home and commercial coffee maker machines. Don’t be surprised if you find a Bunn machine in most of American homes and restaurants. Some people are interested in using the same for offices and all. As a matter of fact, Bunn machines are able to make a huge amount of coffee even when it consumes less amount of time and effort from your side. Of course, there are some common advantages that you get when you purchase a Bunn Coffee Maker — for your home or office. Let’s have a quick look at the noticeable benefits of having and using a Bunn coffee machine at your home or office. Either way, one thing is assured: taste. When compared to other types of coffee makers, Bunn coffee makers brew the right amount of coffee in an extremely small amount of time. You can have up to 10 Cups of freshly-brewed coffee in just three minutes. This is due to the internal hot water tank system of the machine. That is, a particular amount of hot water is always kept inside the brewing machine. So, whenever you press the Brew button — or pour water —, the coffee-making process will start instantly. This is a great feature when you need a quick cup of coffee. Because the coffee-brewing system is quick and instant, there will be no bitter taste in the whole coffee. It’s going to be a life-saver for those who need the best coffee for their lives. It’s a fact that you have to keep the machine running all the time, but the taste is something unparalleled. You are going to have almost the same coffee that you used to have in restaurants and all. We hope that’s an advantage for everyone who is passionate about the daily, consistent-taste coffee. This advantage depends on the Bunn coffee maker you are going to purchase. There are some Bunn coffee makers that let you use different ways to brew coffee. For instance, you will be able to use K-Cups, Coffee Pods, Tea/Coffee Bags and even your favourite ground coffee. All these are happening with the help of its removable drawers, which can be chosen according to your need. You can use the same devices for getting mere hot water, for your oatmeal or instant noodles. We hope these advantages would compel almost everyone to have a look at a Bunn coffee machine. It was the same set of advantages that attracted us to Bunn coffee machines. We must say, the results were simply amazing and we have never left Bunn ever since. Because there are different Bunn products with varying features, the selection can be a problem at times. If you are in the same trouble, you can use the following considerations for choosing the best coffee maker for your purposes. Some of the considerations are common for all coffee makers, while others are Bunn-specific for reasons. First of all, you should check the Brewing Capacity of the Bunn machine you are just to purchase. It is manufacturing single-serve, multi-serve and commercial level coffee makers. So, chances are, you may purchase the wrong one. Before making the purchase, you should understand how many coffees you need on a regular day — the number would be high if you are getting for an entire home, though. Then, depending on the company’s claims and user-reviews, you can pick the right machine with the optimal brewing capacity. Compatibility is a choice when we consider Bunn coffee machines. As we said earlier, you have a way to use Coffee Pods, K-Cups and Ground Coffee in some particular coffee makers. It’s optional and will make sense only if you need that versatility in the taste and experience. That having said, you have a better option to stick onto the common drip-based coffee brewing. It does not matter which one you are going to use — make sure it works fine with your taste preferences and boldness of coffee. Selecting the right Carafe is another point of selection, for sure. You can find different types of Carafe in different Bunn machines. The right selection should be made with respect to other features also. For instance, you may not need a Thermal Carafe if the machine has an internal heating element to keep the coffee hot. If the heating element is not present, you would better have to get the Thermal Carafe. This is, once again, a personal choice. Because, there are some people who don’t like external heat to be applied to the coffee. Last but not least, you should check out the Design and aesthetics of the machine if you are going to place it in your living area or the kitchen. If you want to shift places so often, go for a portable maker. In that case, you may have to compromise the brewing capacity and other features. We have taken care of these aspects and mentioned them in our recommendations above. Now that we have seen our recommendations for the best Bunn coffee makers — followed by some general buying information —, we hope you are ready to make the purchase. There is a final advice that we have to give you. Just because you have some more money to spend, you don’t have to get the commercial version of these machines. Get them only if you need such a huge performance and brewing capacity. After all, there is no point in making a lot of coffee if you don’t drink them at a time. Moreover, heavy Bunn coffee makers are noted for higher power consumption as well. That is, in the end, consider the environment-friendliness and power consumption of these devices before checking out. Best keurigs coffee maker rely upon the demand and needs of the users. Each user has different needs and reasons to say that it is best. Some look out for the unique feature, some for its price, some for its size, etc. But before planning to purchase a coffee maker ensure that it has the below mentioned things. Keurig coffee maker provides facility of heating water for instant oatmeals, hot chocolate, hot tea, etc. If you are a type of user who do not use this feature then you can select a model which provides an option of switching the off or on button for this facilities. As you know that this coffee makers work with the help of electricity. So ensure that the coffee maker use less electricity or else select a model which switches off by its own after brewing. There are models which stays on even after the usage. This type of models can increase your utility bill. If you are a person who forgets to switch off the buttons after its usage then you should prefer models which shuts down automatically after the usage. If you are a person who never like to go to kitchen the moment after getting up and you also need a coffee then check out the model which helps to program according to your needs. There are models which provides special programming features which allow you to set the time period so that as soon as you get up you get a hot coffee. Now let’s check the steps to use the Keurig coffee maker without any difficulty. Compared to other coffee makers, using a keurig coffee maker is easiest. Then too, some people gets confused. Below mentioned words will help you out from that situation. Plug your coffee maker and then switch it on. Although the keurig prepares your coffee instantly, you need to wait for a moment to get the water boiled. Now you need to fill the reservoir. The reservoir lid is placed on the top and to the left hand side of the machine. Lift it and then fill the water on it. As soon as you fill the water, you can hear a noise. Don’t get panicked, it is the machine taking water into it for heating. The machine can store enough water which can be used for many cup of coffees. Some reservoirs can lift away from the machine and others need you to pour the water into the reservoir. It all depends upon the model. Now you need to select the coffee. Most of the machines come with a selection of k-cups, that are made up of plastic and it contains both the coffee and a filter. You can select the one which you prefer. But ensure that you do not remove the foil lid. Open the coffee chamber gently which is placed on the centre of the machine just above the logo of the keurig and place the k-cup over there. After placing the k-cup, close the lid with the help of the handle. Now you need to concentrate on the machine’s display where you can see the notification once the coffee is ready. During that time take your mug and and be ready to place that on the tray which is present on the bottom of the machine at centre. Ensure that the mug is not bigger than the space allotted for the mug. If yes then select a mug which can be placed easily into that part of the machine. It is seen that a mug which holds 10 ounces or more can be placed efficiently into that tray. So it is recommended that you choose a mug which can hold more than 10 ounces. If you are not familiar with the aunce, then no worry, just place an appropriate mug into the tray which can be placed and removed easily. After selecting the appropriate mug, click on the brew button. Below the display of the machine you can see many buttons present over there. Click on to the button which pictures a cup of coffee. If you are a beginner then it is recommended that you choose smallest so that the cup does not overflow from the mug. A Good news for all coffee lovers is here! Getting up in the early morning and holding a hot vapourised coffee in your hand and having a great view of running world or surrounded by trees and plants and listening to the sounds of various birds with the strong aroma of coffee will surely make your day amazing. But before that view you need to first get up and run towards the kitchen to make a coffee. Get up lazily and then go to your kitchen, take the utensil, pour water on it and then the normal procedure of making a coffee. I am sure by reading the second paragraph your mood started to swing back or irritated. Not only yours but also most of the people don’t like this. If you are an addicted person for coffee and leaves alone at home or a person who is compelled to make a cup of coffee for yourself then this article will surely make you happy and after reading this you will be on cloud 9! While making coffee, most of you would have imagined that if there was a machine or a tool which will make your coffee with just a touch of button. Isn’t it? So, to all that dreamers, here is a good news for you. A person has heard your wish and so he brought up a machine through which you can get a hot vapourized tasty coffee which not even takes a minute to prepare. The only thing you need to do is click a button. Yes! Just click a button and your coffee is ready within minutes. This machine can be owned and used by anyone without any difficulty. The only thing you need to do is buy Best Keurig coffee maker. Keurig coffee maker was invented in United States of America. From past few years it has an increasing demand in the market. It is a machine which can be placed easily at your house, workplace, offices and even at shops. 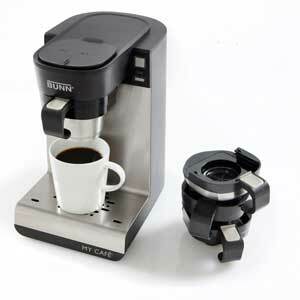 It is basically a single cup coffee system which helps you to make a tasting brewed coffee within seconds. It not only makes brewed coffee but you can also make different types of coffees like latte, espresso, cappuccino,etc. Due to this you can try different types of coffees whenever needed. If you also like to drink tea then it can also be solved with the help of this coffee maker. In keurig coffee maker you can also make hot tea, cold tea and even hot chocolate. Everything takes seconds to make. If you are a person who leaves alone and away from your family then this machine is very beneficial for you. If you are a working wife, then you can make coffee for your husband and your family whenever they demand within seconds. If you are a husband or a boyfriend who want to impress your wife or girl then without any big task you can impress them by providing them a k-cup that is a cup of coffee. Now you can invite your friends who loves coffee at home instead of spending money at different coffee shops. You can also have a coffee party that is having a chitchat with your friends by holding a cup of coffee. There are different types of keurig coffee makers which provide you various unique features. You need to select the best keurig coffee maker for yourself. It depends upon your needs and demands. The reason behind its increasing demand is because of its innovative ideas, unique features, very simple to use, can try different types of drinks and it’s impeccable functioning. As mentioned earlier, it can be used by anyone. Due to its compact size, it can be placed at any corner of your house or kitchen. Keurig is a brand of coffee maker which comes out with different and distinctive features which attracts a mass audience. Now you all can enjoy a cup of coffee the way which we discussed at start. Now making a cup of coffee is no more an irritating or time consuming one. If you are an addicted coffee drinker then this coffee maker is very helpful. You can now have a cup of coffee whenever you feel. Where Does Caffeine Come from ? – Everything You Should Need To Know! Caffeine is a term that is kind of synonymous with Coffee. Most people tend to remember Coffee whenever they hear about Caffeine. And, as a coffee addict, you should know about Caffeine, its sources and impacts it has on consumers. It’s because Coffee is the prominent source of coffee, as far as the common people are concerned. It does not matter whether you are using ground coffee or packaged ones like C-Cups or Nespresso capsules — you will spot the presence of caffeine, almost everywhere. In this article, we will discuss various aspects of caffeine, such as where it does come from, its impacts and several things you should know about that component. This is the basic question to be answered first. In spite of the fact that many of us consume coffee on a daily basis, majority don’t know what it is. More often than not, we are not conscious about the presence of this addictive component. According to authentic sources, caffeine is considered a food additive and drug. Chemically, this can be made through the synthesized uric acid. However, in most cases, it is being extracted by natural sources — which are huge in number. To understand that, we can have a look at the usage stats of caffeine. According to one popular survey, 90% of US Adults are consuming caffeine on a regular basis. If you are thinking caffeine is found only in coffee, you are wrong. To get to know the real thing, you should know where caffeine comes from. We already told you that caffeine can be made artificially or extracted naturally. The second method is easy and healthier. And, you would find caffeine in the following natural products. Out of these, two things are present in our daily life — Coffee Beans and Tea Leaves. So, naturally, you’ll find this element in coffee, tea, chocolate and many other popular drinks. In the current scenario, the same has been used in various food products as well. For instance, if you check the ingredients of your favorite syrups or gums, you can find caffeine listed there. Let’s keep other drinks aside for now. As far as a common food consumer is concerned, he gets the majority amount of caffeine from different coffee drinks he may try. According to several kinds of research, coffees like the one you have from Starbucks have more amount of caffeine than other drinks in the list. So, with a small bit of generalization, we can equate caffeine to coffee. How Does it Work — What Caffeine Does to Your Body? We should answer this question before moving forward. Many people — especially heavy coffee consumers — are concerned about the duality of caffeine. If you are one of them, you too should doubt whether caffeine is good for your body, mental state and overall health. We get most of caffeine from plants, right? There, function of caffeine is to paralyze the insects that try to absorb resources from the plan. In some way, it’s kind of a pesticide. But, don’t worry; there is more to talk. So, after a few minutes of consumption, you start to feel a bit more active and less suppressed. Because the tiredness-causing part of your brain is inactive, you won’t feel tired, either. One more thing about caffeine is about the duration. Once it has made its way to bloodstream and brain, the effect can be there up to four or six hours. What’s more, caffeine may take up to 12 hours to be completely removed from your body. This how caffeine works on your body. In short, it can make you more active and feel less tired. However, a few factors should be noted about its after-effects of caffeine consumption. If you take up caffeine on a regular basis, you may have the following benefits. Because caffeine can take care of the tiredness action, you will feel more active. Also, there is chance of advanced brain function as well. Consumption of caffeine will increase the total brain functioning and alertness. The next time you see someone quite active at the end of the day — even after a day of full work —, take a look at the desk. You’d surely find a cup of coffee, tea or some other caffeinated drinks. It’s clear that caffeine consumption makes you feel good and active. However, there are some side-effects as well. We will have a quick-look on the not-so-good sides of caffeine — no matter what type of coffee you are consuming. Note: These side-effects are applicable only if you are a heavy consumer of caffeine. In normal cases, a cup of Espresso Coffee may contain 240mg to 720mg of Caffeine. When it comes to common coffee, it goes low to 102mg to 200mg. Suppose you are taking more than 5 cups of coffee in a day; in that case, you will give up to 1000mg, which is higher than the okay-to-consume amount of 600mg. If you take these much of tea of coffee on a single day, you can expect the following side-effects. Insomnia is a problem faced by heavy coffee drinkers. It happens due to extra activeness and lack of tiredness. Addiction is a key-word for caffeine. You will have a tendency to consume more of the drink if that contains caffeine. That’s one of the reasons why most of soft drinks come with some caffeine in them. You may also face some health issues, regarding fertility, pregnancy, blood sugar and depression. So, these are the common issues heavy caffeine-consumers face. Well, it’s up to you to decide whether you are scared by these side-effects. If you still haven’t got a coffee maker then you can read about the Best Keurig Coffee Maker on the market. Just like everything else, caffeine has both advantages and disadvantages. It really depends upon your style and frequency of consumption if you ask about health or addictiveness. If you are taking more than 500-600 mg of caffeine a day, chances are that you’d get addicted and have some of the side-effects. So, when you’re really concerned about your health and sleep, one thing you can do is to control. Make sure that you get the perfect cup of coffee — in lesser frequencies. It’s good if you can cut down the consumption to two cups of coffee a day. We hope that satisfies the common coffee-drinkers out there. Possibilities of Coffee are endless. It just about whether you have the time and passion to experiment with new tastes and flavors. That way, instead of sticking onto traditional tastes and options, you would have an awesome range of new tastes. Suppose you have some free time this weekend or that you are going for one holiday trip. What do you think about making some superb coffee sugar cookies to keep your holidays cool? Don’t worry; the steps are easier, but the taste is something impressive. 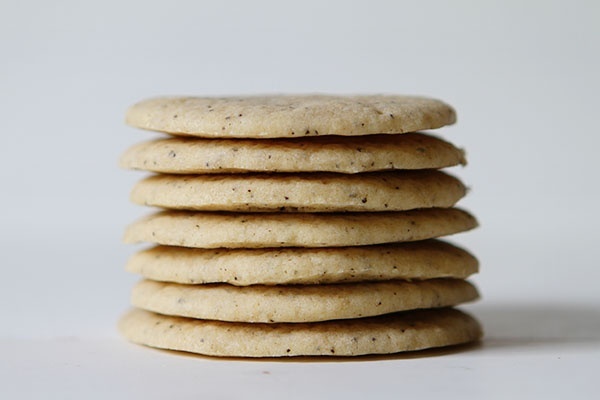 In fact, Coffee Sugar Cookies are a superb thing you can make without much effort or compromising the taste. In this article, we will share that awesome recipe that lets you create coffee sugar cookies — in least time possible. It’s simple, easy to be done and gets you the best results even if you are starting to experiment with food. Shall we start, then? You would have seen many types of sugar cookies around. However, there are a few things that make coffee sugar cookies something impressive and unique. To say the least, it’s going to amaze the coffee addict inside you, because we would also be doing an extra coffee-icing layer on top of cookies. To put things in simpler manner, we will have an enriched layer of cookies on below, which will be followed by your favorite brewed coffee-based icing. So, from a single bite, you are going to enjoy the richness of butter, flour, coconut oil and the favorite coffee drink of yours. We hope that’s exciting for almost every coffee addict around. Now, we will move onto the actual guide for cookie preparation. Now, before we begin the actual cooking process, we will see what all ingredients you need for making your favorite coffee sugar cookies. Because we are making the cookies and coffee icing separately, we will cover their ingredients in separate ways. Looking for the coffee maker? Well, read reviews of best drip coffee makers. Make sure that the following things are ready on your countertop before starting. 2 and ½ Cups of All-Purpose Flour. For the perfect coffee icing, you need to have the following ingredients ready for access. Base Icing Recipe and Finely-Ground coffee of 1 and ½ Teaspoons — if you need dark-coffee icing. If these things are ready, we will move onto the guide for making these coffee sugar cookies. How to Make Coffee Sugar Cookies? Take a large bowl for the major mixing purposes. Now, you have to mix a few things — coconut oil, butter & sugar. Here, you have two options. You can either use a hand-mixer or counter-top mixer. If you don’t have one of those gadgets, free feel to mix using your clean, bare hands. Either way, just make sure that its final mixture is smooth. The mixing action should be vigorous and consistent. Also, you can seek the help of soft coconut oil for the extended easiness. Now, you have to get another small bowl, where you have to mix egg and butter. Whisk the large egg first, and then add the butter mixture. Also, you will have to insert the vanilla extract and ground coffee into the same bowl. After that, you can cream all those added ingredients in a smooth manner. Take another bowl from the countertop and you are going to make a mixture of flour, baking soda and baking powder. Once you have made the mixture, you can pour the same into the butter mixture we just made. Let the combination wait for a few seconds — until it gets firm. Once it’s ready you will have to let it chill. Here, you need the help of your oven. Make sure that you have preheated the oven at 350F. Get a floured surface and pour the thick mixture onto it. You have to adjust the thickness in an even manner. Once you’ve got it from the oven, you can use a knife or cookie cutter to choose the right shape. Depending on the crispness you prefer, you can adjust the baking time. At the end, make sure that you let the cookies cool for a sufficient amount of time. If you don’t let it cool completely, icing would be a bit tough. Now, we have to spend some time for making the icing as well. First of all, you have to create a mixture of powdered sugar and coffee. It needs to be noted that you are to make a thick icing. Once that’s ready, you have to pour it on the cookies, right? Here too, you have 2 options to choose. Either, you can go for a pastry bag. Or, if you don’t have one, you have the freedom to fill the icing in a plastic bag and cut one corner. And, then, you can pour the icing in desired shape by applying proper pressure onto the bag. Now that you have both the cookies and icing ready, you can make them in the shape you love. You have to make sure that the icing does not lose its thickness while pouring. At the end of day, if you do all these, you would have a nice set of coffee sugar cookies to make your holidays awesome.